There’s nothing like a neighbours’ dispute in a strata complex to set the cat among the pigeons. Yet disputes are an inevitable part of strata living, where large numbers of people live in close quarters. Regulations exist to take the heat out of disputes and resolve conflict, hopefully before things escalate and get out of hand. Catching disputes early is best but if all else fails, the NSW tribunal can hear the case and make a ruling. Here are five possible ways to end those time-consuming disputes. It sounds too obvious, but many misunderstandings arise through lack of communication. The parties involved should be encouraged to discuss their grievances and find a solution. If talking fails, the use of a skilled, independent mediator can be a great way of resolving strata disputes. An experienced mediator can identify the source of conflict, encourage the parties to discuss it and suggest creative options for both parties to move forward. If an agreement is reached, it’s binding for the parties involved. It may also be turned into an enforceable order at the discretion of the adjudicator. If mediation fails, you can apply for an adjudicator to resolve the dispute by issuing an order. Adjudication cannot happen until mediation has been tried. An adjudicator can rule on conflicts around noise, water damage, repairs to communal property, enforcing by-laws, meeting issues and the appointment of strata management services. An owner can appeal to the NSW Civil and Administrative Tribunal against an adjudicator’s decision, but this must be lodged within 21 days of the order coming into effect. A notice can be issued by the owners corporation or strata title management to any owner/occupier in breach of a by-law. This could relate to parking, noise nuisance, eyesores and pet problems among a range of other issues. The owners corporation can ask the Tribunal to impose a fine of up to $550 if the notice is not complied with – but this must happen within 12 months of the notice being issued. When all other avenues have been exhausted, body corporate managers may take a dispute to the NSW Strata Tribunal. The hearing will be held in public, unlike adjudication, which happens behind closed doors. Though less formal than a court, the Tribunal is able to make a ruling once all the evidence has been heard. Regular hearings are held in Sydney, and appeals can only be heard through the District Court. 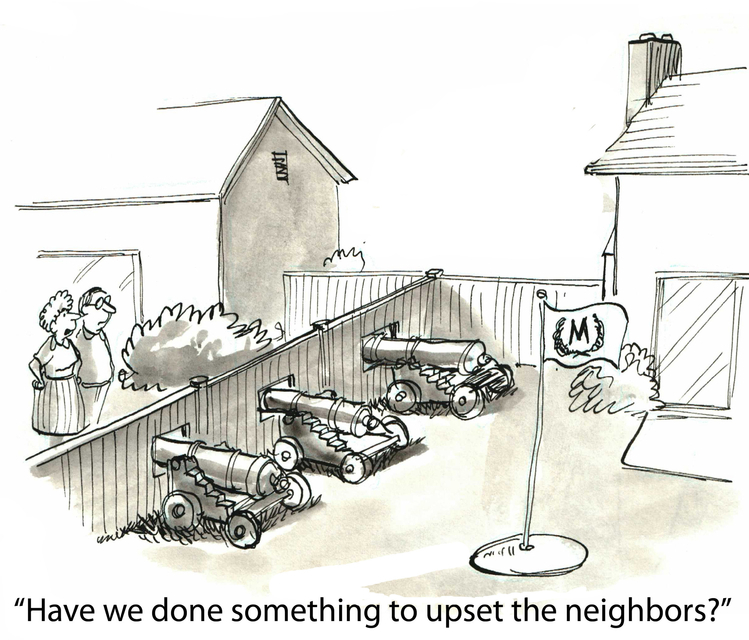 In any event, skilled strata management services can greatly improve outcomes when dealing with strata disputes, as well as reducing the chances of future conflict. Be sure to choose a management company with extensive experience in conflict resolution.